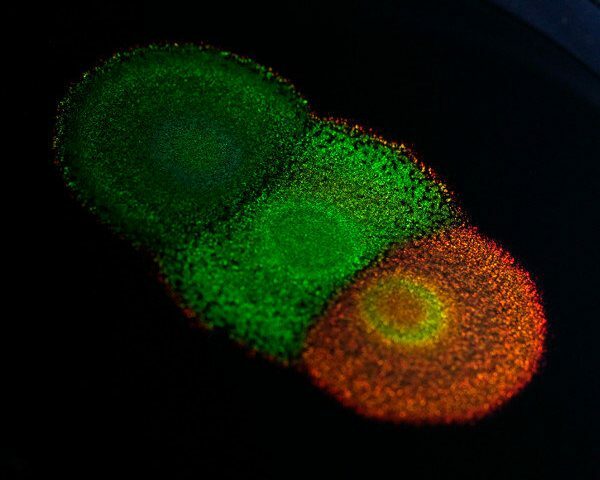 Can you paint with all the colors of…BACTERIA? Bacteria come in all shapes, sizes and colors, just like people. Controlling these colors could give us the best shade for new shoes.. But how are bacterial colors controlled? Scientists at the University of Cambridge asked the same question. They discovered that unlike other creatures, SHAPE controls the color. The shape of bacteria makes them reflect back light at different wavelengths literally changing hues. They unlocked the genes that change this shape. Then, when scientists altered these genes, the bacteria settled into different shapes, and changed color! Even better? The color is controllable, from deep purples to bright reds. And they could change the brightness by changing the bacterias’ genes. The researchers think these breakthroughs will lead to creating natural paints. Paints that These will be better for people and the environment. How’s that for a GREEN solution? So, next time you want that perfect chartreuse handbag, remember to thank the little guy!